One of my favorite places in south Florida is the Colony Hotel and Cabana Club in Delray Beach. Built in 1926, it's one of the most colorful locations I've ever seen, with the tropical orange and yellow color scheme. Plus, a short walk takes you to a most beautiful beach. 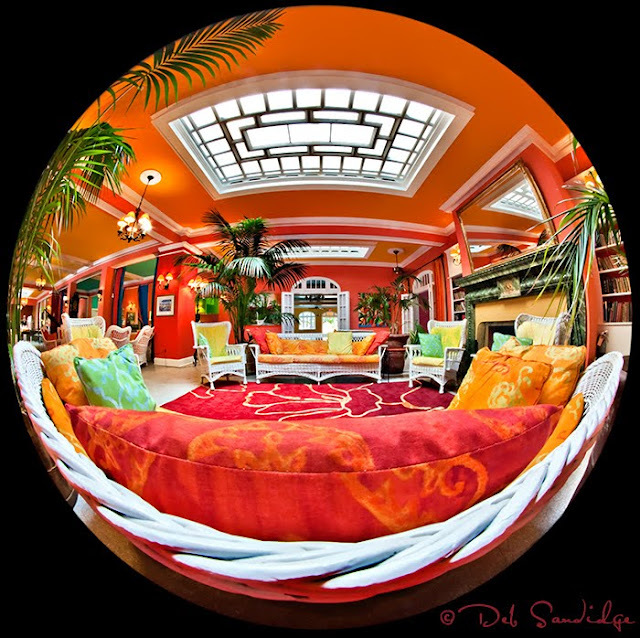 Using a fisheye lens allowed me to capture the composition in a creative and inviting way. Make great pictures!